The one thing I hear over and over when I speak to clients about reducing the amount of bread they consume from their diet is "I just love having a crunchy, toasted piece of bread with my bowl of soup".... Well, this may not be bread, but it sure is crunchy and is absolutely delicious with your bowl of soup. 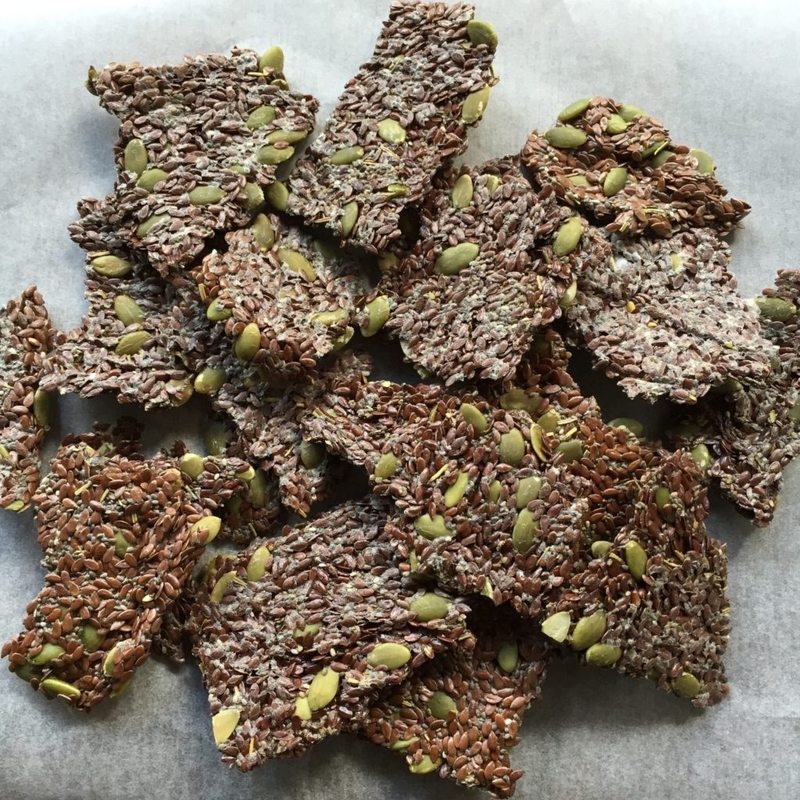 Filled will flaxseeds and chia seeds, you are bound to get your dose of Omega 3's with just a couple of these. Omega 3 is an essential fatty acid that our body is unable to produce by itself and therefore has to be consumed through food sources (or supplements). It is extremely important for us to consume Omega 3's as they fuel our brains and work as a natural anti-inflammatory. Mix flaxseeds and chia seeds and cover with water. Let mixture stand for 15-20 minutes. Preheat oven to 100 degrees and line tray with baking paper. After the time has passed, add all other ingredients, mix well and then spread evenly on tray. Bake in oven for 1.5 hours, flip and bake for a further 1 hour. Allow to cool and then break into crackers. Store in glass container in the fridge.